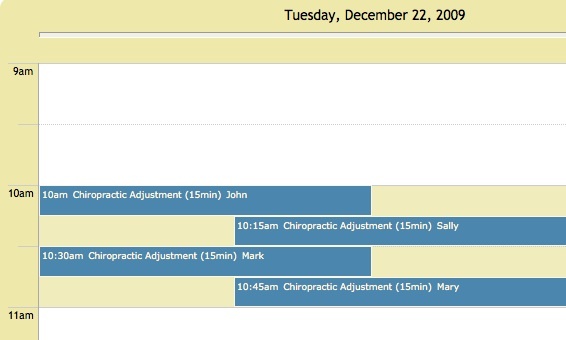 Are you having a hard time viewing those 10 or 15 minute appointments? Use Customized Calendar Grid Size to make them taller! Change calendar grid size in Account & Settings->Settings for your business->Calendar Display Grid Size. The default is "small", use "medium" or "large" to expand short appointments. The setting applies to day view and week view. In the appointment dialog, the system will show you a list of names from your client database matching the partial name you enter. After you select a client, the email and phone number will be automatically filled in! If an email address is on record, client will be notified by email automatically.